Fall is upon us! This magical time of the year is often filled with bonfires, apple cider, beautiful fall foliage, cozy sweaters, and of course — pumpkin-themed everything. 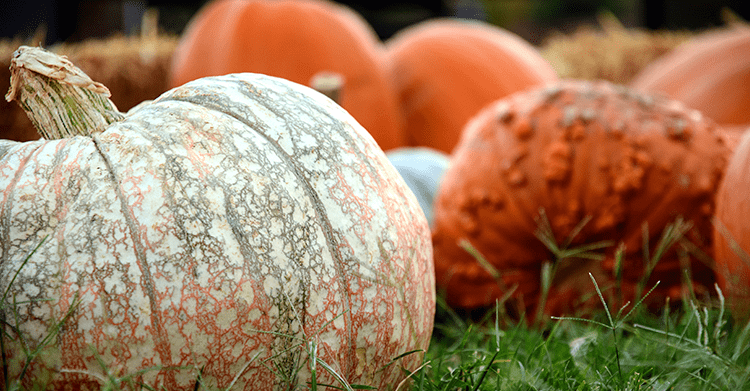 Maximize the season with a visit to a nearby pumpkin patch, teeming with fall activities like corn mazes, hayrides, petting zoos, bounce houses, and much more. Take a look at the many pumpkin patches in the Triad area, located not far from Greensboro, Winston-Salem, and High Point. 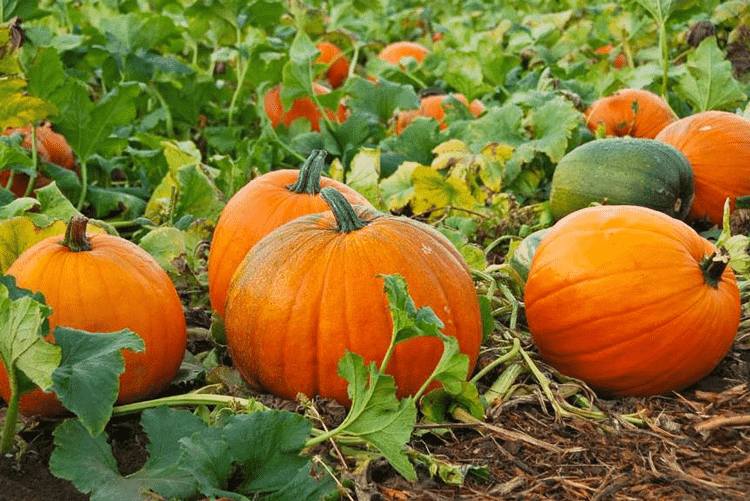 Consult our interactive map to find the pumpkin patch nearest you so you can spend less time searching for a farm and more time selecting the perfect pumpkin! Opens September 8 | Friday 4–9 p.m., Saturday 10:30 a.m.–9 p.m. + Sunday 1–6 p.m. Enjoy a myriad of fall activities at Alpha & Omega Corn Maze, a 20-acre agri-tourism complex with maze trails, hayrides, horse-drawn wagon rides, and more engaging activities. You can experience the majority of the activities at Alpha & Omega for $11 per person (children 3 and under are free). You can also purchase a one-day comeback pass for $6 or a season pass for $40! September 1–November 4 | Friday 3–7 p.m. + Saturday 10 a.m.–6 p.m.
Head to Armstrong Artisan Farm on Fridays and Saturdays throughout the fall season to explore the corn maze, pick a pumpkin from the patch, visit the farm store, or take a hayride. The massive corn maze is situated on 15 acres in the center of the 79-acre farm nestled along the Town Fork Creek in Walnut Cove. Admission is $6 for adults, $5 for children, and free for ages 4 and under. Opens September 21 | Friday 4–10 p.m., Saturday 10 a.m.–10 p.m. + Sunday 1–5 p.m. This local, family-owned and -operated farm is typically known for their exceptional grass-fed beef. 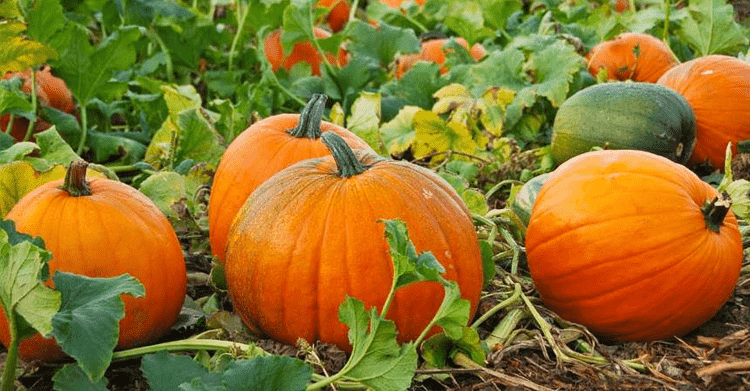 But during the fall, Granite Ridge Farms turns into an autumn wonderland, where you’ll find a corn maze, petting zoo, jumbo slide, pumpkin patch, hay rides, and a kiddo corn maze. Don’t miss opening weekend for the corn maze, which will feature all of the above-mentioned activities, plus a bounce house, mini photography sessions, and live music! September 22–November 4 | Friday 5–10 p.m., Saturday 11 a.m.–10 p.m. + Sunday 12–6 p.m. This family-owned and -operated 5-acre corn maze is the only maze in Davie County. 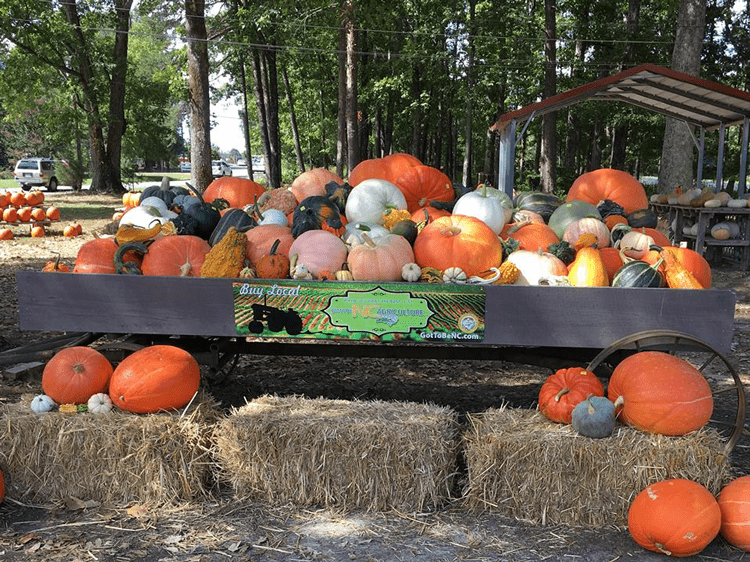 The entire operation at Greenhill Family Farm is a labor of love for the Green family, from the maze to the bounce house, and concessions to the pumpkin patch. General admission is $9 and children 3 and under are free. Visiting Hawks Pumpkin Patch has become a fall tradition for many in the area — even those traveling from several hours away! 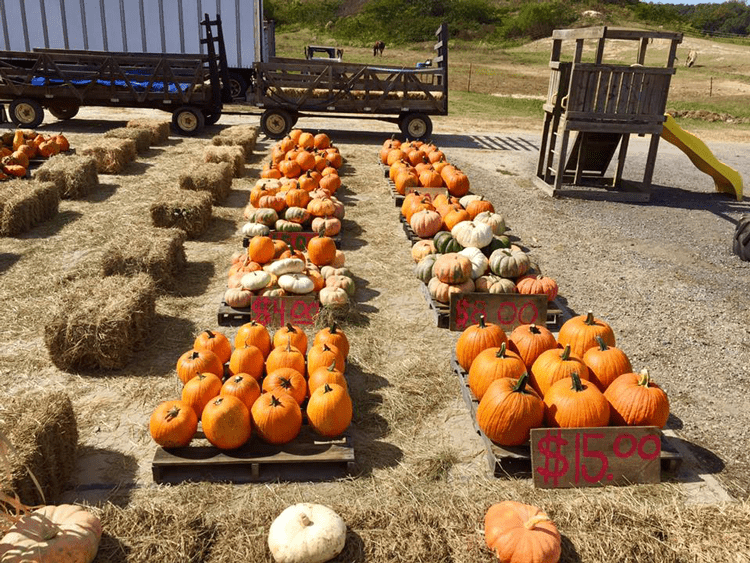 This authentic pumpkin patch offers a variety of sizes, types and colors to choose from, and is an amazing place to take picturesque fall photos and pick up fresh produce like apples and honey. September 29–October 28 | Saturday 10 a.m.–6 p.m. + Sunday 1–6 p.m.
Huckleberry Trail Farm offers endless farm fun, including an old-fashioned corn maze, a hayride, a pumpkin patch, and a farmyard filled with games. 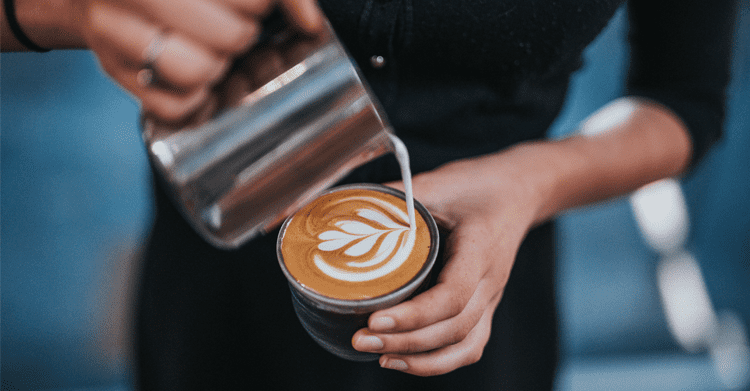 The price of admission covers all of these activities (and more!). Tickets cost $10 for adults and $8 for children ages 3–11, seniors over 65, teachers, first responders, and military members. October 6–28 | Saturday + Sunday 8 a.m.–6 p.m. This historic farm has been in continuous operation by the Iseley family since 1790. Over hundreds of years, the farm has produced wheat, corn, oats, tobacco, fruits, vegetables, hay, and pastures for cattle. During the fall, Iseley Farms has plenty in store — including a pumpkin patch and hayrides during the month of October. 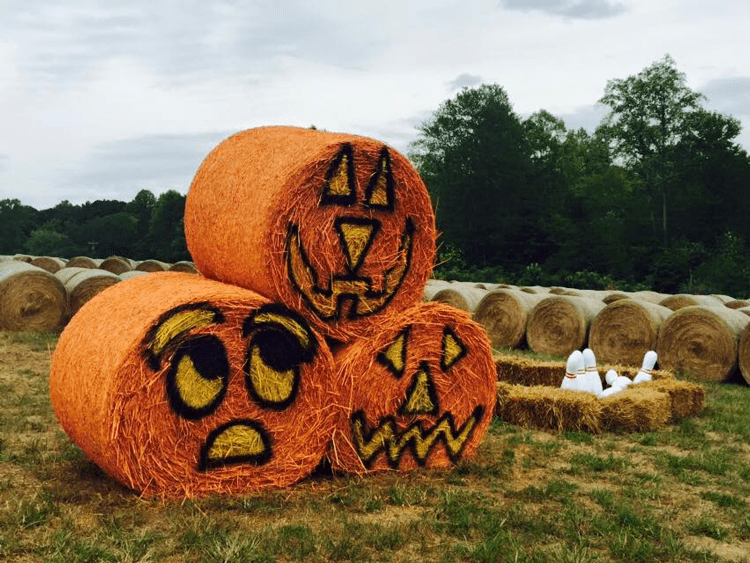 Call the farm at 336-584-3323 to make a reservation for a hay ride on Saturdays and Sundays throughout October. September 16–November 3 | Saturdays 11 a.m.–6 p.m. + Sundays 1–6 p.m.
Maize Adventure at Kersey Valley offers an entire day packed with fun during the fall. Explore the 10-acre corn maze, hop on giant jumping pillows or bungee trampolines, ride the kiddie zipline, enjoy food and drinks, hop on board the Cow Train, pick pumpkins from the patch, and much more. The pumpkin patch opens in October and has thousands of pie pumpkins, basketball-sized pumpkins, and larger pumpkins perfect for carving. You can even enter the Pumpkin House, with walls and a roof made out of pumpkins! The Months of September + October | Saturday 10 a.m.–4 p.m. + Sunday 1–5 p.m.
Millstone Creek Orchards is a family-owned and operated orchard with 18 acres full of farm-fresh blackberries, blueberries, peaches, grapes, apples, pumpkins, and pecans, which are all available for you-pick. During the fall at Millstone Creek Orchards, it’s all about apples in September and pumpkins in October. The orchard hosts AppleFest every weekend in September and OktoberFest every weekend in October! During OktoberFest, admission includes pumpkin and gourd picking, hayrides, cider-pressing demonstrations, a piñata, pumpkin chunking, storytime, and a pumpkin pie eating contest. Friday 4–10 p.m., Saturday 10 a.m.–10 p.m. + Sunday 1–7 p.m. This agritourism farm in eastern Guilford County offers an array of activities during the fall. Explore the challenging corn maze at J. Razz & Tazz Farm during the day or night, take a ride on a hay wagon pulled by a tractor, or enjoy drinks and snacks available for purchase. 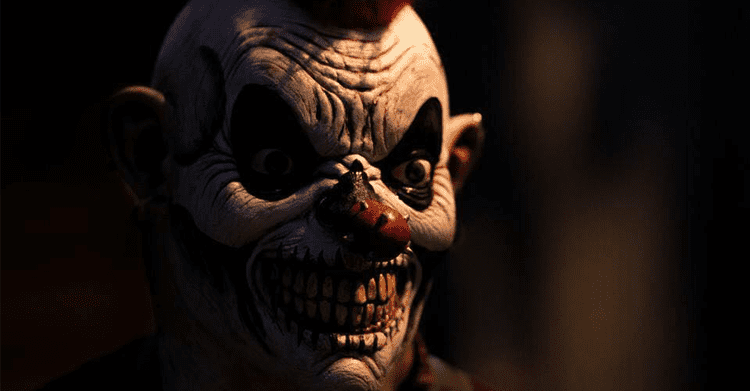 During October, another wagon takes riders deep into the Haunted Forest for an entertaining and somewhat spooky Halloween adventure perfect for the whole family. Admission to the farm varies in price, depending on what activities you would like to do! Rudd Farm is a well-known farm destination for residents of Greensboro. This fourth-generation family farm is located just outside the city, but you’ll feel worlds away in this beautiful rural setting. It all started as a tobacco farm in the early 1900s and transitioned to a focus on strawberries in the year 2000. Today, Rudd Farm grows tomatoes, green peppers, hot peppers, corn, watermelons, cantaloupes, cucumbers, okra, green beans, cabbage, squash, lettuce, potatoes, peas, and onions during the summer. During the fall, they grow sweet potatoes, collards, pumpkins, and decorative gourds. 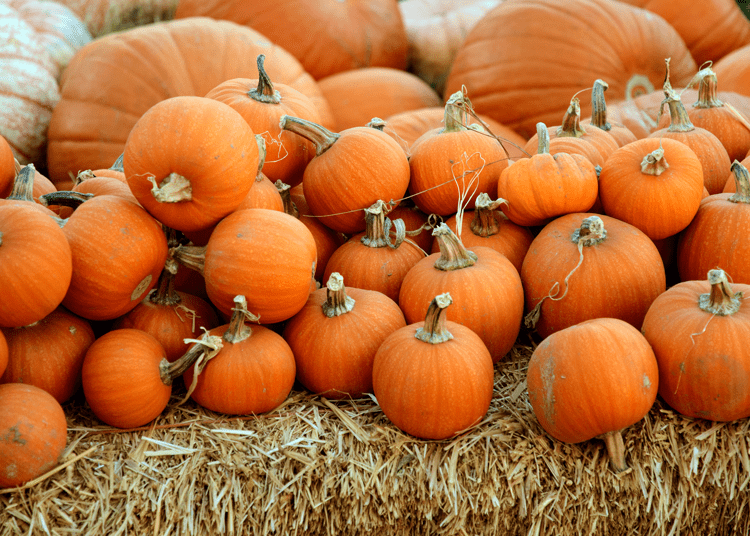 Pick up the perfect pumpkin on the farm throughout the fall season — without traveling far from Greensboro! Weekends in October | Saturday + Sunday 11 a.m.–6 p.m.
Smith Hollow Farm is situated on 20+ scenic acres in the heart of the Triad region. The Smith family has lived, entertained and farmed on this land for several generations, and the tradition continues today! During the month of October, visit the farm on weekends for a myriad of farm activities, including a corn maze, pumpkin patch, games, crafts, horse rides, hay rides, face painting, and more! September 21–November 4 | Monday–Saturday 8 a.m.–7 p.m. + Sunday 1–6 p.m.
Clodbuster Farms is a family-owned and -operated strawberry and produce farm situated in the center of the Triad near Union Cross. The owners, the Sells family, are fifth-generation farmers specializing in growing high-quality produce, including beans, tomatoes, pumpkins, strawberries, and more. During the fall, the farm attracts tons of visitors for their annual corn maze, hayrides, and pumpkin patch! Have a wonderful fall season exploring the many farms, orchards and pumpkin patches in our midst! 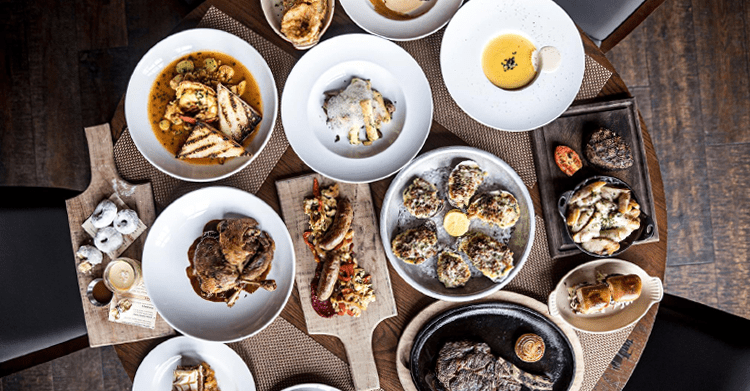 What local farm is your favorite? Let us know in the comments below!